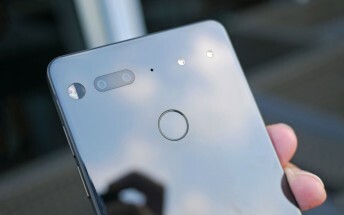 Essential has started pushing out a new update to its PH-1 smartphone. Carrying a build number of NMJ88C, it's mainly a security update that brings along Android fixes for the month of January. We're rolling out a software update (build NMJ88C) with the January security patches and fixes for the Spectre and Meltdown security flaws. The security patch also includes fixes for the recently-uncovered Spectre and Meltdown security flaws, making it all the more important to install the update as soon as its available for your device. Meanwhile, while replying to a user query in the comments section of the aforementioned tweet, the company also confirmed that Oreo (stable) for the PH-1 is coming soon. We're getting close to the full release. We'll share an update on timing as soon as possible.